Icaros Inc., a leading provider of aerial imaging software, is pleased to announce that version 5.1 of OneButton™ Standard and Professional image processing software for unmanned aerial systems (drones) contains advanced algorithms to process Thermal IR images from Radiometric microbolometer sensors. Icaros’ OneButton family for drone image processing, lets end users easily and automatically generate geospatially precise, fully orthorectified 2D maps and 3D models from frame-based aerial imaging systems. Originally engineered for manned aircraft sensors, the OneButton software has been modified to accommodate the unique collection conditions of unmanned aerial systems (UAS). OneButton 5.1 enables users to adapt radiometric parameters to precisely post-process ThermalCapture RAW readings into precise temperature maps (i.e., an accurately corrected thermal orthomosaic). These features enable TeAx ThermalCapture users to process imagery into high-fidelity thermal orthomosaics – which are crucial for professional industrial applications like Precision Agriculture, Heat Loss Detection, and Solar Panel Monitoring. “When it comes to professional thermal mapping within the global commercial drone industry, one of the biggest challenges is to keep the radiometric information throughout whole image collection, processing and mapping process”, explains Stefan Thamke, CEO of TeAx Technology. “Icaros and TeAx Technology formed a close international alliance, each bringing enormous knowledge and experience in their own field of expertise, and then worked passionately together to create a one-of-a-kind, professional, state-of-the-art, automated thermal mapping solution for the global commercial drone industry. I am not aware of any other solution on the market that is able to provide full radiometric 2D or 3D maps where all radiometric parameters can still be adapted”, Thamke says. “We provide farms with Thermal IR and Multispectral surveys using multi-copters. OneButton is a great product, and the new features in OneButton 5.1 enable us to provide the most precise orthomosaic on the market with limited effort” said Benjamin Ben-Zion, CEO of Agricam. Pictures show an underground district heating pipeline. Inspection performed by Drone Systems, Denmark. 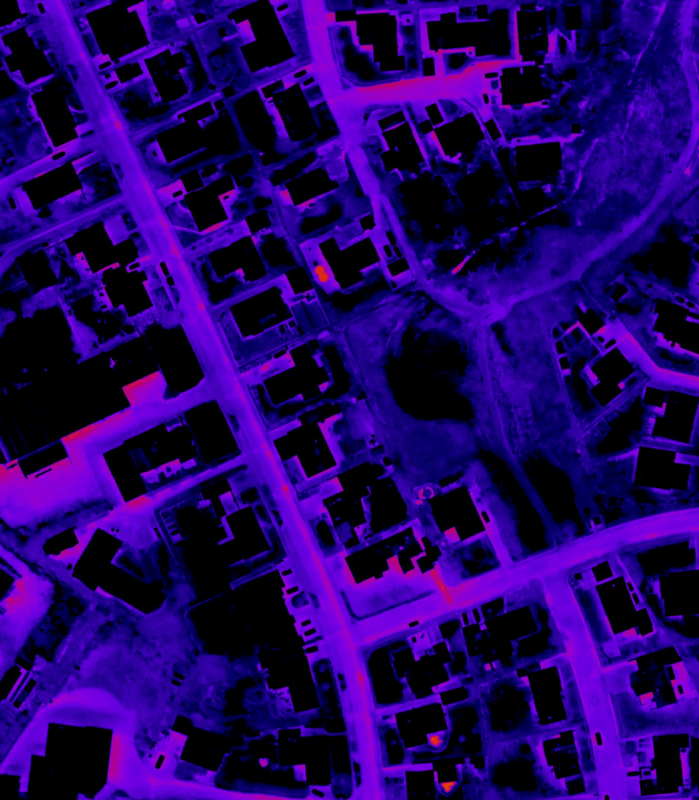 “We have utilized our vast experience in large scale thermal mapping projects to produce the best and most complete photogrammetric software for thermal imagery on the market today”, said Tom Bosanko, CEO at Icaros. Current users of OneButton™ Standard and Professional editions can download and install the latest version from the following link: https://www.icaros.us/ob-software. OneButton creates a complete image processing workflow for aerial image data and can front-end both GIS and analytics workflows to enable customers to solve challenging problems related to everything from agriculture and forestry to utilities and city planning. It is highly customizable to meet the needs of specific vertical market applications. OneButton automatically processes raw raster imagery with onboard GPS/IMU data to stitch the individual scenes together into seamless, color-balanced orthomosaics meeting photogrammetric precision and quality standards. Outputs include digital elevation models (DEMs), true color 3D point clouds, and multispectral mosaics – all ready for ingestion directly into GIS and analytics software environments. Previous articleFruity Chutes Pins Down 10 Years of Success, Literally!